1310b, CENTER CAP USED, 83-93, FORD, MUSTANG. PAINTED LIGHT GRAY, ENGRAVED BLACK FORD OVAL, NO LUG NUT HOLES, PUSH ON, 7" DIA. 1310b, CENTER CAP USED, 83-93, FORD, MUSTANG. PAINTED LIGHT GRAY, WITH BLACK FORD OVAL ENGRAVED. NO LUG NUT HOLES. PUSH ON, 7" DIA. FOR A 14", RIM. 3065b, CENTER CAP USED, 93-95, FORD, TAURUS, SPARKLE SILVER, NO LOGO, PUSH ON, 7" DIA. 3189, CENTER CAP USED, 96-98, FORD, EXPLORER, MACHINED, BLACK CENTER, CHROME WORD LIMITED IN 2 HALF CIRCLES TOP & BOTTOM. PUSH ON, 6-1/2" DIA. 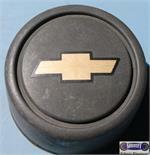 60182a, CENTER CAP USED, 02-04, CHEVY, TRACKER, PLASTIC CHROME CAP, 9 INDENTS ON OUTER EDGE, WORDS CHEVROLET TRUCKS, GOLD OUTLINE BOWTIE, 4-1/4" DIA. 64804a, CENTER CAP USED, 90-95, MAZDA, PROTEGE, 323, PAINTED SILVER, ENGRAVED WORD MAZDA, 2" METAL RING FOR A PUSH ON CAP. 6-1/2" DIA. 65732, CENTER CAP USED, 94-96, MITSUBISHI, 300GT, PAINTED SILVER, FLAT CAP, PUSH IN FROM BACK. ENGRAVED LOGO. FLAT EDGE WITH LIP, 2-3/8" DIA. 65732, CENTER CAP USED, 94-96, MITSUBISHI, 300GT, PAINTED SILVER, FLAT CAP, PUSH IN FROM BACK. ENGRAVED LOGO IN CENTER. HAS FLAT EDGE WITH LIP, NEEDS RETAINING WIRE. 2-3/8" DIA. FOR A 16" RIM.